Jason Cohen, founder of WP Engine, came here to challenge me. After being interviewed on Mixergy twice before, he wanted to turn the tables and interview me. As you’ll see, Jason’s goal was to challenge me to think about what I learned from interviewing 400+ entrepreneurs and to find out how listening to the daily interviews can help my ambitious viewers. Have you wondered the same thing? Then listen to this interview. Jason Cohen is the founder of WordPress Engine, which offers fully managed hosting for speed, scale and security. Andrew: Three messages before we get started. First, are you a user of 37signals web apps? Then you’ll want to know about signalkit.com. It expands the utility of all those business tools you’re already using. SignalKit.com, plain and simple, they make your 37signals tools more powerful. Do you ever wish you could see your Basecamp to-dos across multiple accounts, all on one page? Or would you like to get better notifications of your Campfire chat rooms? Or may use Campfire as a way to add live chat support to your website. Check out some of the products being developed by SignalKit, a suite of tools designed specifically for 37signals users like you. Let me give you that webpage again. SignalKit.com. Next, after he sponsored hundreds of Mixergy interviews, if I ask you, “Who is Scott Edward Walker,” what would you say? The answer, of course, is the lawyer who specializes startup founders like you. I’ve known Scott for years, and have privately recommended him whenever a founder asked me for a lawyer. Scott Edward Walker of Walker Corporate Law. Finally, if you need a phone number that gives you unlimited extensions, who do you turn to? Grasshopper.com. If you need to have your voicemail transcribed, who do you turn to? Grasshopper.com. If you need a toll-free number, who do you turn to? Grasshopper.com. It’s the virtual phone system that entrepreneurs love. Hey, everyone. My name is Andrew Warner. 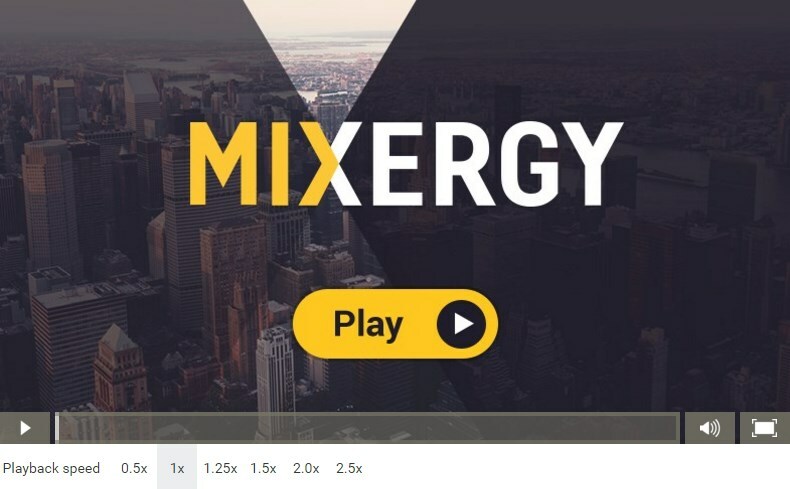 I’m the founder of Mixergy.com, home of the ambitious upstart, and the place where you come to watch me interview successful entrepreneurs about they built their businesses. Except for today. Today, we’re going to do something a little bit different. Jason Cohen, who has done four companies and sold two of them, and has been on Mixergy twice, wants to turn the tables and ask me questions. So Jason, welcome to Mixergy. Andrew: Thanks for coming. I actually don’t exactly know how to handle it when I’m on this side. Usually I introduce just by reading my notes, just like Oprah does when she introduces people. Then I go right into my questions. Now you’ve turned things around on me. Why don’t we just start with a quick introduction of who you are? Then we’ll jump into your questions. I’ll let you take over. So what are you working on now? Jason: Sure. As you like to say, nobody cares what you’re doing. You want to know, “What am I going to learn today? And what’s useful to me today?” But I guess just for credibility’s sake, as you said, I started four companies. I’m known online as a Smart Bear, because that was my third company. But now I’m doing one called WordPress Engine, WP Engine, where we do elite WordPress hosting. But this isn’t about me. Also, I think your listeners have already heard the stories about your previous business, and I’m sure they don’t where you went to school or what your favorite color is. So the real question is, what are you going to learn today? What’s going to be useful today, right now? Most of your interviews cover the hard details of running a company, especially at the beginning. 99 percent of the time, that’s the stuff you want to hear, of course. But I feel like maybe one percent of the time, I think it’s useful to pop your head out of the day-to-day grind and think about more strategic questions, like knowing whether you need more customer development, or whether you should instead be working on shipping product, or whether you should try to develop and brand and try and make a big product splash and launch, or whether it’s smarter to release early and quietly with something worse. Or even meta-questions, like when should I take advice and when should I ignore it? Or whether honesty and transparency will, on the balance, help my business more than it will hurt it by scaring people off with too much information. Those are the kinds of topics I want to cover in the next hour. Andrew: Okay. I like that question about whether you should be fully transparent or not. It’s a question that I keep wondering myself, as I ask my guests questions. Am I doing a good thing for them by pushing them to be open? Should I be asking them to be? At what point does openness hurt their business. That’s a question I’ve wrestled with. We can come back to that when you’ve got it in your order. Jason: Let’s start there. That sounds good. About honesty in business. I don’t want to talk a lot about Bradford & Reed. I think your readers probably have already heard that story over and over again. Jason: But it is interesting, because, of course, that’s a made-up name. There was no Bradford, there was no Reed. You used it to get through sales calls because using – as you say, “American prejudice against them” – it sounded like a law firm or something dangerous they needed to respond to. But at the same time, when you got them on the phone, then you admitted that wasn’t the name of the company. It was just a ploy to get them on the phone, and they thought that was funny. Again, in your words, you say, “You tell a lie, but then you reveal a lie.” And actually you end up in the positive after that. That’s an interesting story of both. Would it be okay if you didn’t tell them and did you not tell them? How do you draw the line between these white lies that we tell in business? Like when we say “we” instead of “I” about the business? And when is transparency actually better? Andrew: I actually was using a bit of trick there. Even in the reveal. The reveal, as honest as it is, also had an ulterior motive. I knew that by revealing what I had done, I would ingratiate myself further with the person, and really create a tight bond with them, and I think that’s okay. I don’t think I was calling up and saying I would sell them computers, but really handing them empty boxes or boxes that had nothing but bricks on the inside. I was just letting them in on a little bit of salesmanship. I was giving them a sense of who I was, and how desperate and hungry I was to get on the phone with them and the kind of creativity and the kind of work that they could get from me. If I was really committing fraud, then they shouldn’t do business with me. But if I came up with a clever name that would get people’s attention and get their imagination going in a way that would get them to answer the phone, that’s the kind of stuff we love. That’s the kind of stuff that I think let’s this little community of entrepreneurs know, this little community of people who are hustlers know, “Hey, he’s one of us.” You know? And that’s okay. Jason: People who are hustlers, people who appreciate that, like that. But most people don’t know anything about business. To them, business is a magical facade. And I don’t know that a lot of people get entrepreneurship outside of the little circles that we run in. For example, when you’re talking to someone on the phone, and it’s just you. They ask how many people are in your company, and you cheat and you say five, when it’s really you or it’s just two people. A lot of people have done that. Early at Smart Bear, I certainly did that. I won’t say I’m proud of that, but was I wrong for doing that? Or are you wrong? I mean, it’s a white lie. . It doesn’t really hurt anyone in that sense. But it’s not true. In the fraudulent sense, it’s absolutely not true. Andrew: I don’t know where the number five came from. What I found is that, in talking to entrepreneurs, they don’t just make stuff out of whole cloth. Today, if you were to ask me how many people are in the company, or how many people are running Mixergy, I might say, “Hey, you know what? I’ve got David Saint. He’s working with me full-time. Then I got Tristan, he’s a producer.” I go through the list of people who are really helping me put this together, and I come up with seven. They’re not fake people, there are seven people who are really helping me do it. They’re not seven employees. They’re seven people who are helping me get this thing up and running and producing every day. I think it’s okay to say that. I think you’ve got to find where your line is. What I want to be very careful of is to not be critical in any way of what entrepreneurs do, because that’s what the media does. That’s what shuts off the truth. That’s what keeps us from really understanding what’s going on. In fact, when you said, “Is it okay for an entrepreneur to pretend he has more people than he really does,” a part of me wanted you to think I was an honest person who would never do that. I wanted to jump in and go, “That’s terrible. That should never happen. That’s where my line would be.” Just in my head, I would say, “Jason Cohen, I’m a good person. Don’t look at me badly because of Bradford & Reed.” But if I were to do that, I wouldn’t get you to reveal that you, when you started, inflated the number of people that you had at your company. If I didn’t get you to be open about that, my audience wouldn’t get a real understanding of what it’s like to build a business, a real understanding of some of the things that entrepreneurs do to start off, some of the things that human beings do. And that’s what I want to get at. Jason: That’s what you’re doing at Mixergy, because it’s a media company. But what about most of the listeners here who have a product company or maybe a services company? Their sales calls are not to others who they want to become friends with, and who understand that, and are trying to learn that. They’re just doing a sales call, where they’re trying to sell their enterprise developer tool or their cool online social media analysis engine. Andrew: They should know then, that . . .
Jason: Do you say . . .
Andrew: I won’t tell them what they should do. But I will tell them that I actually had a private conversation with a Mixergy viewer who was in that situation. He’s running a one-man operation and he was selling to huge companies, to Microsoft. I think Google was one company. The direction that he took was to . . . actually, what was the direction that took? I forget. But I don’t think that he should broadcast out, “I’m a one-man operation.” He should know what other people have done and have a menu options and an understanding of how to be creative about his solution. That’s the second item on the menu. There are a lot of different ways to answer that question. My goal isn’t to say there’s just one way that’s right or wrong. My goal is just to expose the thinking of entrepreneurs. If you have it, one day, one of their options is going to pop in your head and you’ll use it. Or you’ll just get a sense of how to think based on how other people have thought, and you’ll come up with your own idea based on what you’ve learned from them and what you’ve seen from them. There’s no way I could do that if I sit here and be judgmental. I’ll give them the same answer I gave you. We can never get the open truth if we’re critical of it. We can never get a real understanding of how the world works, unless we let people openly express it. Even if your way is not my way, even if someone else’s way is not my way, I just need to know the way they’re thinking. Maybe I’ll use it to come up with my own idea. Or maybe I’ll just know that if I’m going into a competition with someone in business, that this is one option for them. That maybe this is what they do, and I won’t be baffled by their business. I’ll understand it. Jason: You’re talking about all of these ideas and different ways of approaching business sort of washing over you and letting that inspire you to do what’s right for yourself. When, however, you’re doing things like watching Mixergy interviews and reading blog posts and reading blogs, and getting advice from advisers and your customers even, because we all know customers like to tell you how to run your business also. One clear thing that always happens is, you get contradictory advice. I’ll hear one Mixergy interview, and someone says, “Yeah, Twitter was key. We were super good on Twitter and it spread like wildfire that way.” Then the next interview, the person says, “I don’t even use Twitter. Maybe my users do, but that’s all on them. I don’t do it at all.” So if I’m a listener to Mixergy and reader of things in general, I’m going to get these contradictions. What do I do? This is all washing all over me, but now what do I do when I’m finished listening? How do I parse that for myself? Andrew: To be like a woman shopper. I remember when I did an interview on retail. I forget the name of the author. But I wanted to be super prepared for him. I went and I read his book and I read other books on retail in preparation for the interview. I discovered that men and women shop differently. This guy who I interviewed – his name will come to me in a moment – he will actually place cameras and people at stores to watch how customers shop. He’ll rearrange the flow and increase sales just based on what’s available at what point in the store, and how users go through the store. He’s watching people, and he says, “Look at this. Men and women shop differently. Women will try lots of different clothes on, and then pick one. Men will go into the store, often not even try on the pair of pants that they want. They’ll look at the size and go right home with it.” I think we need to pick ideas the way women shop, which means, listen to all these different ideas. Try a few on for size and see which one’s right for you. I’ll give you an example from today. Just before this interview, I talked to two people. I talked to Tim, the guy founded LivingSocial, and Jason Fried, the guy who founded 37signals. Two opposing points of view on how and whether to raise money. Those are two completely opposing points of view. The person listening to us should know himself well enough to know which one of them is right for him and then just go in that direction and say, “Okay. Jason’s system is right for me. Let’s think about how Jason builds his business.” The rest of the interview is going to be much more useful. Or Time’s interview is. And then just go in that direction, too. Or maybe they say it from the start, “That’s not going to be me. When I listen to Jason Fried, then I know that’s my direction. I shouldn’t go in the other direction from the start. I should go in his direction. And that’s I think the way to do it.” And still, you can learn from both. Jason, I’m confused, because you’re Jason and he’s Jason, both in the same day. But Jason Fried said that he sat on the board of Groupon. As he watched them do business, he said, “It’s not my way of doing business. These guys are looking for growth right away. I’m not doing that. But there’s so much that I can learn from it.” He was inspired by the idea that Groupon, just like LivingSocial, knows the lifetime value of their customers, knows how much to pay for advertising and how to grow it. Even thought it’s not directly applicable, you can bet that he was learning from it and applying it to his point of view. I think that’s the way to deal with contradicting information. Jason: Nice. So you can try it on for size, which implies, also, that it might not fit. So it’s okay to discard it and try something else. That’s the other implication of that. Let’s suppose I’m starting out. I don’t know a lot about business. Jason: I just simply stumble into a few people that seem to match other things that are important to me, and that I value. So that means I want to try to learn from them. The obvious thing to do is just copy verbatim. I needed a ULA at Smart Bear. I literally copied a, not a competitor, but a complimentary product and search-replaced the name. When I was trying to build the About Me page or About Us page, I didn’t know what to put. So I looked at a couple of websites and literally just pasted in some stuff that they had said because I didn’t know what to put yet. A lot of people who blog start by copying the blogging style of some bloggers that they admire. But at the same time, if I tried to copy Mixergy and make a new podcast, I wouldn’t automatically have a popular podcast. If someone tried to copy how I built Smart Bear on AdWords, they would fail, because AdWords is completely different today than it was seven years ago when I did that. Copying seems like the logical way to take advice from people I’m inspired by and now need to learn from. But just copying often just doesn’t work. So do I start by copying and see? How do I take that new stuff that I don’t know, and try it on? Andrew: I think there are some things that you absolutely could just copy, that there’s some things that just learnable and are plain, and other things that aren’t, and you can’t apply example. For example, WordPress engine. You are in charge of . . . I don’t know. Do you know how many WordPress installations you guys are managing now? Can you say publicly? Andrew: 400. Okay. If I were to come to you and say, “Jason, how do I set up a WordPress? How do I cash it? And how do I do the URL structure? And how do I tag? And what plug-ins should install? And which ones should I stay away from?” You can really walk them through it step-by step, in a way that they will get it down. And when a friend of theirs needs to install a WordPress, they can do the same thing. There are certain things that are like that. That can be copied. He even talks about the size of the button, the color of the button. That’s something that you can copy. If you’re sitting down with a blank piece of paper or a blank HTML document, you know this is what goes where. I’ll start off with that. And then I’ll get some feedback. And I’ll adjust, and I’ll improve. Or I’ll start off with a WordPress blog. I’ll at least install it properly, the way that Jason recommends it. Then later on, I’ll adjust and improve. You can’t directly apply that. But you can learn that with every new technology, there’s new ways to grab traffic, to make a statement there, to show up higher. I interviewed one guy who did that, years ago. He was making money through SEO. Then he would send that traffic to Ugg Boots affiliate programs, and he made a ton of money from that. I said, “Well, that doesn’t apply anymore.’ He goes, ‘No, but today there’s new technology. Today there’s Twitter.” I said, “But can you use Twitter for it?” He said, “Yes, are you kidding me? Now what I do is, I know the people. I SEO Twitter. Now I come up with names. Like if I were to sell Ugg boots today,’ he said, “I might say, I’ll get Ugg boots with another word on it. So I know that when people type in to search on Twitter, ‘Ugg boots,’ then I’m more likely to show up. Then they’ll follow me, and then I can promote to them.” He had all these systems that were not exactly like the SEO days, but similar enough that he could learn from those days and apply it to today. That’s a different kind of thing to do now. When I say try on different ideas like outfits, that’s an idea like an outfit that you can try on. When Facebook starts getting big, maybe you create a ton of – if this is who you are – you create a ton of profiles with the right names in them and you friend them to certain people so you can get those profiles to SEO higher in Facebook results. Most people wouldn’t mention their competitors, because they’d be afraid to. They might want to mention their competitors, but they’d be afraid to because they might send users to their competitors. “I now understand,” he said, “because of SEO, that this is actually helpful. So I will say, ‘We are better than, or we have more . . .” whatever it is that he had, than those guys. Mentioned those names. Now when you do a search for those names, he comes up. That’s an idea that he tried on and adjusted to his way. He’s not a keyword-stuffer, so he went in a different direction. That’s, I think, the way to do it. It is something people want to hear. When it’s asked of me, I always feel disingenuous, because in the end, I was successful. So it couldn’t have been that much of a mistake, right? Clearly there are these so-called mistakes where you waste time and money, but you’re okay. Then there’s the kind where you went after some market and it didn’t exist. Or some competitor came out. Or it was just bad. Or I don’t know, just mistakes that were fatal. One of the problems with things like Mixergy and bloggers, including me, is that we’ve all kind of gotten to a successful point. None of those mistakes were fatal. So how can you characterize mistakes that are okay to make, versus ones that are going to be fatal. In other words, how do I know when I’m trying something on, that it’s going to be okay if it doesn’t work, versus a mistake that kills the company? How do I make sure that the things I try are in that first category of non-fatal attempts? Andrew: I remember reading about Richard Branson as a kid. Everything he did seemed to be perfect. And if I were just left with what I read, with the guy who gets all the women and gets every brand of his to be successful, if I were just left with that, I’d feel so inadequate in the early days of Bradford & Reed when things didn’t go right. Thankfully, I read – I forget where – there was a book on him, an unauthorized biography that did a great job of exposing things, some of his mistakes and a great job of going in and showing, in an open way, his business. One of the stories I remember from it was about how when he launched Virgin Airlines. He had such a bad ticketing system, such a bad system for knowing who gets a ticket, who gets on the plane or not, that if you walked into the airport and said, “I have a ticket for Virgin Atlantic. I want to get onboard,” they would just put you onboard. They would just rush you through. They’d print you a ticket and they’d assume it’s fine. It was those kinds of chaotic messes that were going on while I was growing up reading about how they would do your nails on the plane. Limo drive you to the airport. The other thing it did was it gave me stories for my people. When your people are worried about you because your site is down or because there’s some other issue, and you stand up and say, “Don’t worry. I got it. It’ll work itself out. Trust me.” Or, “I used to have this in the early days. Trust me. If I did it back then, I can now.” They’ll believe you and they’ll be encouraged by it. But they’ll still be a little skeptical. But if you say, “Look. I know we’ve lost everyone’s tickets here. But Richard Branson, in the early days, had a similar situation.” You tell them the Richard Branson story, and you go, “He figured it out. We’re going to figure it out too, because that’s what we’re about, because that’s what business is about. It’s not about everything working out. It’s about dealing with these crises.” I think that’s where the power is. Now . . .
Jason: You’re saying the idea of being confident. That’s one of the traits of people you see on Mixergy, surely. Is that almost everyone exudes confidence. Maybe that’s only post-visible express, I don’t know. I know you have some stories about how you didn’t always feel that way. What’s interesting is, some of it’s for show. Like when Richard Branson, from his public persona, you’d never know he made a mistake. Same thing as Trump, even though we know he made colossal failures, right? But it’s not just public stuff. Like when you interviewed Tobias from Shopify. He was so confident that Shopify would work. I think this was actually his snowboarding company that morphed into Shopify. Whatever it was, he was so confident in his business that – and this is his own words – failure wasn’t even something he considered as a possibility. He raised a lot of money from friends and family, so much so that he was really risking a lot of his extended family’s fortune on this one business. And in retrospect, and this was years later, when he realized how much risk he put them at, he was horrified because he was so confident. You have to have confidence, obviously, because you have to get through the tough times, especially at the beginning when no one believes you, and no one knows who you are. You have a new product, so of course it requires confidence, in that you do have something interesting and new. But at the same time, we just talked about how most business is about introspection and adaptability and trying stuff. So those seem to be at odds. Having vision and confidence in that vision, but then also adaptability and making mistakes and whatever. What is the mindset to where you’re not so confident as Tobias, that you’re literally not acknowledging the amount of risk involved, but also being malleable? How do you obtain the Zen of having both of those things at once? Andrew: You’re bringing up a flaw in Mixergy right now. The flaw is that, or the problem with the system, is that I can’t get people to open up about their tough times and their insecurities. I don’t want to be Oprah, and just have them talk about their insecurities just so we could relate . . . actually, maybe I do want that. But I also think it’s an important part of the process. We have to really understand what goes into this. I have to get people to feel confident enough to share their insecurities, to share their depressed times, to share the times when they weren’t sure that anything would work out. And I think that makes for a better story. I think it makes for a more humanizing person. What’s happening though is . . . in the early days, I’ll tell you before I get to the problem now. In the early days, people would do it. Mark Jeffrey, if you listen to my old interview with him. I sucked as an interviewer then, but he was a guy that was open. He knew me as a friend. So he came on, he talked about how he was depressed. And he said that the only time he was happy was when he was sleeping. Here’s a guy who’s now working on ThisWeekIn.com. He’s a guy who in southern California is one of the respected entrepreneurs that people like being around, and he admitted that about himself and his life. Back then, I think it was easier. When there wasn’t anyone listening except for a few friends or maybe just people doing me a favor as entrepreneurs and as friends of mine. Now it’s harder. I get emails from people who just want to be exposed to the audience. And if they want to be exposed to the audience, they want to make a statement. Not just share. They want to tell to tell about their new companies. They want the PR, the Google juice and to just be where their friends were. It causes problems, because those kinds of interests aren’t aligned with being open. Those kinds of interest are more selfish than altruistic. I don’t know how to deal with that. I just need to accept that they have those interests. I need to find a way to make them understand that they need to be open and also to become a better interviewer. Give them room to be open and also think trust. You know me. You’ve known me now for a while, Jason. You know my goal here isn’t to trap an entrepreneur and get him to cry because that will make headlines for me. The goal is to really get the truth and the story behind the entrepreneur. And others will take some time to get to know me that well. And maybe at that point, I’ll be better interviewer. They’ll be more trusting. And we can get into that. Jason: Maybe a requirement for being interviewed on Mixergy is that, you have to send ahead of time an email to you. “This is an embarrassing thing I’m going to reveal.” Then at least you’ve got one thing. Jason: Maybe if they do the one thing then, they’ll realize, actually, that was cathartic. Let’s do some more things like that. Maybe you can force them to name the thing they are going to reveal. Andrew: It’s interesting. Tristan, the producer here at Mixergy, is actually putting together – I’ll be doing the interviews – he’s putting together a collection of people who will talk openly about their failures. Not entrepreneurs, but failed businesses. He’s actually asking for that. He’s saying, “Let me see some introspection before you get on. Let me see you analyze why you did this.” And some people – I’m glad that he’s asking it – some people still have a chip on their shoulder, and haven’t even taken a moment to analyze what happened with the failure. They just want to show that they were right and others were wrong. Others have more of an introspection, more willingness to share stories. Sometimes, actually, it just takes for someone to just be prodded by him. And then they’ll come up with a story that they’re willing to share. It’s not so much that they’re not willing to share it, as they need a little time to come up with it. What you’re saying could be a good approach. Jason: Let’s get back to some of these interviews. You always spend a lot of time on how people get their first few customers. You should, because that’s the hardest thing. Jason: Especially since a lot of your audience is technical. The hard thing for them is not writing code, it’s getting those first few customers. If you can get a hundred customers, you can probably get a thousand and then you can almost certainly get ten thousand. That makes sense. But one of the things I’ve noticed is that a lot of the interviewees seem to have an easy time getting to that first 50 or 100, and I’m talking about paying customers here, not just freebies. It seems that for a lot of the interviewees, it’s easy for them. Maybe they have a network, or maybe like that that’s unusual. Do you think that it’s that when the business idea is that good and presented that well, and the product is good enough, that it is, in fact, easy to get the first 50 or 100 customers? So it should be easy, because that’s a sign that you’re doing things right? Are they just making it sound easier than it really was? That seems like the hardest part and it seems like everyone’s got an easy time with it on Mixergy. Andrew: That’s a good question. I always struggle with that. The reason I focus on that is because that’s universal. Whether it’s AT&T rolling out a new product, a new service plan, or it’s a new entrepreneur who’s never done business in any way before, rolling out a new business, we all have to deal with, how do you get the first few customers? And that’s why I keep asking it. That’s when we’re at our most vulnerable, and that’s when what works for one person is most useful for everyone else. When I ask people about that, years later, they often forget how painful it was. I’ve heard that, women in labor, it’s painful for them. But years later they forget how much pain it is. They remember the joy of having a child. You’ve got a son, right? Andrew: Was it like that for your wife? So . . .
Andrew: Oh, she remembered the pain? Okay. I’m glad I checked in. Well, I think a lot of entrepreneurs don’t remember it. Because everything worked out so well, they forget the pain. They forget. I remember at the end of my marathons. I’d run a few. At the end, I’d always think, “Marathons are easy. Look at how many I’ve run. They’re so good.” And then I go and I do another one. And somewhere around mile 20, I’m in so much pain. I keep saying, “Don’t ever say it’s easy. Remember, it’s not easy. You’re struggling.” And I cross the finish line, I’m so excited about being past the finish line, I forget there was any pain. I think that’s a problem. I try to get entrepreneurs to dig in deeper and discover that, because it’s useful for them to remember that they weren’t always superstars. So when they go and start a new company and it doesn’t hit right off the bat, they won’t say, “Oh, the last one was an instant success. If I don’t have an instant hit now, then I’m a failure.” So I think that’s useful for them, too. And I think it’s useful for the audience. Back to your question, more directly answering your question. We get all kinds here. I just interviewed Jerome, the founder of SnapEngage. He talked about how he was struggling for a long time with this video chat platform that he was building. He had TechStars backing it financially, and backing it with advice, and backing it with their community. He got some users, but he couldn’t get a single customer. Then he went away for a week to do focus on creating a new product. One that his customers were asking for. And it was the first version of what became SnapEngage today. Which allows people to chat with their users, when their users are on their website. He said, ‘Within the first week, I got customers. Right away.’ Here he was, struggling for months and couldn’t get a single customer. New product, within days he ends up with customers. Sometimes that is true. But it’s not a universal truth. It’s not a universal truth that, when you have the right product, instantly you’ll get customers. At least not based on my interviews. When I interviewed David Heinemeier Hansson, of 37signals again, I asked him about those early days. He said, “Everyone always thinks it was so quick and easy. We were spending a year doing another project, doing sidework, before it finally hit. And everyone always assumes for us it was the breakout hit.” We also have that kind of amnesia when it comes to the pain of the start for other entrepreneurs. Jason: We project. We see their story condensed, especially in the headlines. We say, ‘Well, that was fast,’ forgetting a lot of this stuff going on. That’s interesting. I said, “Just move on. Stop it.” Then I couldn’t get myself to stop it, so I asked him. I said, “How do you become such a good storyteller? Where does this come from?” He told me. He said he was terrible at writing. Then he wanted to work on science, and one of his instructors said, “You’re not going to get anywhere if you can’t communicate your ideas.” And he started focusing on it, and reading books, and all that. There’s a part of me, at that time, wanted to dismiss it. To say, “Ah, he’s just exaggerating.” There’s a part of me, that when an entrepreneur says, “I struggled for a year” – like 37signals does, or others, maybe – that just doesn’t listen to them. That goes, “Pfft. They’re just saying that because they want to be relatable.” And so I don’t pay attention to it. But if I stop and want to give myself room to succeed, not to beat myself up, then I am much more open to it. I start to see many more examples like that. Hopefully, Mixergy, and the interviews that I’m doing here, will do that for others. Give them many more examples. Jason: This is interesting that we’re not on the subject of retrospectively looking at stuff. Because that’s normally how people advice new entrepreneurs. it’s useful to know what those prejudices are on both sides. As a new entrepreneur, trying to learn from this, and trying not to read too much into it. On that subject, when people take their own advice, they go start a second company, which a lot of entrepreneurs do for the same reason as they started their first company, because it’s a burning need to do this sort of thing. People say there’s this second company effect, where . . .just what you said, you sort of condensed in your own mind, the timeline of what happened. And you forget the hard parts, and you forget some of those things are required even if you’re super smart and have lots of experience. Some of these things just take a long time, and are hard, and may not work out. So that the second company effect. You think you can accelerate, you forget. And now, by the way, you have more money. You take less advice, because you think you know more stuff. So you end up not doing a good job on the second company. Is that true? Do you see that indeed, most of the time when you interview people and whatnot? That, yeah, that didn’t bite them. They were smart about that. Or, even when we know it’s there, it will still get us? Andrew: I actually don’t know. I haven’t asked about that much. Even if I did, I could just get anecdotal evidence here, about whether the second company is harder. Jason: Okay. Let’s do something slightly different then. As much knowledge and inspiration as it’s possible to get from talking to other entrepreneurs is in your head right now. You have it. You’ve been an entrepreneur yourself, and you have the perspective. In other words, from a raw data or a résumé point of view, you have as much of that raw data and inspiration that a human being can put in their head by talking to other human beings. Right now. Does that mean it will be easier for you to do another company? Or is it still harder? What is accelerated? What, now that you have all of this, do you feel is easier or accelerated? What of it is still hard and still a slog. And therefore, for people listening, will necessarily be a slog for them too and will be a lot of work for them. And there’s no shortcut. What do you see as being still a slog at Mixergy, or whatever the next thing may be? Because that’s what other people are going to have to slog through for sure. Andrew: Such a good question. It’s my own head that’s the hardest thing to control. I’m speaking off the top of my head, here, trying to figure it out. It is. You know what you could do, that failure’s fine, that you could overcome failure by just iterating. You know all this stuff. But it’s just your head doesn’t sometimes cooperate with what it knows and works against itself. I will find myself doing extra work even though I know that I shouldn’t do it. And why do I do the extra work? Because I want to fill up the day and feel productive. I know that’s not the right thing to do. I know it’s a mistake. But I’m not conquering that in me. At some point in the future, I’d like to redirect my energy away from the practical entrepreneurship to the mental game. What is it that we’re doing to ourselves? Here’s a great example. I know that when I go for a run, I love it. Being out there is so much fun. It frees my head. It’s easy. But before I go for a run, I think it’s so much pain. I think it’s such a hassle. It takes too much time. I will sometimes grab my running shorts in my hands to change into them. Then pull up my iPhone and check email. Then I’ll go, “What’s going on on Hacker News?” And I’ll check my email one more time. Then I’ll get into my running shorts, and my T-shirt and my socks, but not my shoes. I’ll spend longer procrastinating that way than I would running. I would do it because, in my head, I feel like running is going to take up too much time in my day. I know, for me, if I hear all these entrepreneurs talk about, “Just launch something bad. Forget about trying to protect your reputation. You need to just get something out there so other people can give you feedback. And then you can improve it.” Hearing that over and over, from people who I admire, makes it a lot easier to do it myself. But it doesn’t make it a cinch. And the toughest challenge is that, is to actually do it. Jason: Okay. Good. So you are on at least your second company here with Mixergy. Now you have an extra problem, which is that you have a reputation. Does that add more pressure to make the next startup a success? For example, I asked Eric Weiss this question. Andrew: There’s not going to be another startup. Jason: But there’s Mixergy, right? In a comment in a blog, you once said that Mixergy is the thing you want to be doing in 60 years, which implies that this is your life’s work now. But you also said in a separate comment, that . . .
Jason: You want to make something that makes more than, say, $30 million a year, because that’s what you made before. And if you didn’t exceed that, and these are your own words, then you’ll think of those as the good old days and you don’t want to think of those as the good old days. They are good, but you want to improve and do better. So is Mixergy the thing that’s not only your life’s work but the thing that’s going to make a lot money? Or have you changed your mind about whether money is the way you measure whether you feel like you’re being successful or valuable or something like? Andrew: I don’t know that I said specifically that I need to make more than $30 million in order to feel that way, that that was critical. What I feel is, and what I hope I hope communicated in that response to the comment. Wow, you really did your homework. Is, I don’t want my past to be the best days of my life. I don want this to be bigger than yesterday. And I want all the work that I do at Mixergy to be more important than the work that I did back at Bradford & Reed. Look at the impact that the guy’s life had, long after he was gone. You can’t necessarily measure that with money, though I know he was making more money as he was helping more people. But you can see that. And I’m not the only one. I started teaching Dale Carnegie, or helping to teach Dale Carnegie. We would list all the people who took the course, including guys like Warren Buffett. Warren Buffett, one of the richest people in the world, turned to the ideas of Dale Carnegie when he wanted to learn how to present, and how to speak to people. And that’s huge impact. I can’t remember the guy’s name. I hope sometime he comes and does and interview here. He’s the founder of Jiffy-Lube, I think, who was teaching at Babson. That’s the way that my success will be measured. Jason: This is kind of a glib follow-up. Jason: If that’s true, then why run ads on Mixergy. They don’t make a ton of money. You have a chart that viewership drops off at the beginning, when there are those ads. That’s not really the goal, anyway, of Mixergy. Why bother? Why bother even making it that much of business, when the goal is not really to make tons of money, at least not with ads? Andrew: I’ve been second-guessing it. I go back and forth on it. I initially started doing it because I was spending money on Mixergy, before Mixergy was what it is now. I was doing invitations, I was doing events. I remember doing one event. Looking at Twitter and seeing people tweet out – not an invitation to this lunch that I put together, because I had this mission for bringing people together – but they said, “They say there’s no such thing as a free lunch. But at Mixergy, there’ll be a free lunch Thursday.’ With a link to it. And so one way that I got people to get what it’s about, was to charge 10 bucks to get in. Something small. But it made them want it, made them show that they were willing to pay to get it. No more funding these businesses. No funding Mixergy. It should just do its own thing. I don’t have to live on it. When I was in Argentina, I didn’t pay for the flight for Mixergy. I didn’t pay for the apartment for Mixergy. I guess I could have. But it wasn’t for that. It’s just to say, this is going to have to stand on its own. It’s going to have to prove itself. The reason I’m second-guessing it. I guess I’m kind of making you pay when I ask you to look at a sponsor. But I’m not really getting the right kind of payment, and I’m not getting the right feedback. Charging for interviews, I feel like says, “Do you like this enough and do you find it valuable enough to pay for it?” I kind of like that. But, of course, that’s not the right model, either. So I need to look around. I need to say, “How do I connect this to something meaningful?” I’ll have to reexamine it. Right now, they’re running on auto-pilot. To be honest with you, I could have increased the prices, and I haven’t. And I could do all kinds of stuff with them. But I’m doing three interviews today, three programs yesterday. I’m not spending enough time thinking about it. And that’s a problem. I really should be. That’s question that you asked, it’s not glib. It’s important. What am I communicating with the sponsors? The first, easiest question is, “Do I believe in what they say?” And yes, I do, and I’m happy to do it. But the second is, “How does this tie into my overall mission?” I do need to find quiet time to think about that. I need to find quiet time and do what you’re helping me do here in this interview, and say, “You’ve talked to 400 people. Now start condensing it. What have you gotten from it?” And I’ll get to that point. I’ll get to it. Jason: Yeah. On that point. Maybe that’s the answer, that you’re not sure yet. It was something that I was interested in. You’ve done over four hundred interviews. What is the additional acute value of another hundred interviews as a listener? Suppose I listen to another hundred interviews? Or should I pick a few things to be inspired from, pick a few things to do, and just go? Right? Just start, like we said before. Andrew: As a listener? I’ll answer that in many ways. I’ll say this. The advantage of another hundred interviews is the same advantage of another interview. I get better with every one of them. I did an interview, now, with… I guess I could pick anyone. My interviews today are so much better than they were before. I’m so much more confident asking questions, that I would never have had the guts to ask before. Not just how much revenue, but about the hard times. And I’ll get better and better at bringing them out and drawing them out. So, to me, the value of an extra interview is not the ad revenue, for example. The advertisers get more interviews than they pay for. For me, the benefit isn’t more eyeballs. I know I’m drowning my audience in so many interviews that they can’t keep up with them. All I can say is you have to find the ones that work for you and listen to them. So the value for me is I’m going to get better and better. And the value for the person listening tomorrow is that they’re going to get a better interview than the person who listened last year, because you’re going to get a much better questioner. The value to the audience of having these interviews on is, we learn from them. I know that there are a lot of people who, when they drive, they’ll listen to music. I know that there are a lot of people who will not go for runs, or when they do, they’ll go to the gym and they’ll the TV. They’ll watch MTV. I think that they’re missing an opportunity to learn. I think they’re missing an opportunity to grow. When we’re surrounded by people who we admire, we become more like them. It’s not just sitting down. I could, every day, give you a bunch of instructions, an hour of instructions. I could do interviews with entrepreneurs who’ll do nothing instruct you. There’s a lot of resistance that comes through that. There’s a lot of BS that comes from us sitting down and trying to come up with instructions. And it’s just not as interesting. When people tell you their story, you don’t have to work as hard. The same thing is going to happen here. You surround yourself with great entrepreneurs, you’re just naturally going to improve. Jason: Interesting. Okay. Actually, I see evidence of that on Mixergy already. For example, you’ll interview the same person multiple times. Neil Patel is a good example. You couldn’t possibly say that you didn’t learn at least as much the second time as the first time. It’s only an hour. There’s a well of information. Even if you weren’t getting better at interviewing. Jason: There’s still just an instant payoff. But speaking of all this stuff about money and everything. There was an interesting question. Especially nowadays, when there are a lot of people who don’t want to raise money and want a lifestyle business. So it needs to generate money, but a certain amount of money, for them to be happy. And they’re also interested in supporting other types of things. You’re obviously driven by money, so am I. I think most of the interviewees that you see are, as well. But, of course, everyone also says you can’t go into business in order to make money. If that’s your primary goal and not anything else, then you probably won’t be successful. Same thing with writing, same thing with lots of stuff. Is that true, though? Most entrepreneurs, a lot of them are in it for the money, actually. So is it okay to be in it for the money? What does it mean to have other interests in the business? Because you’re personally interested in it, your ego’s in it, or whatever these other reasons are, but also want money, isn’t that okay to want money? Andrew: We’re not supposed to be talking about money now. I know I turn people off by talking about money at all in my interviews. I should just be talking about the technology, and not money at all. But there too many entrepreneurs who don’t see their business through because it’s not bringing in money. It’s an important part of growing the business. And it’s an important part of our lives. There are too many people are just reading about the startup culture all day long, and enjoying their iPhones and enjoying their MacBook Airs And hardly being able to pay the rent. Not being able to pay off their credit card debt. But you know what? If Delicious was very profitable, if it was bringing in money, would Yahoo want to cut it? No, they’d keep it around. They may not grow it, they may not give it the nurturing and the ideas that it needs, but they’d keep it around because it’s profitable. I know that because I pay Yahoo $35 a year for domains. Not just one, but a stack of maybe 20 or 30 domains that I bought years ago. They keep that business going. Even though domains have nothing to do with Yahoo, they keep it going because it’s profitable for them. If Delicious was profitable, if Delicious was bringing in money, they’d keep it going. I think we have to at least acknowledge it. I don’t do a finance show like an analyst on Wall Street might. But I do want to talk to them about money, and I do think it’s important to acknowledge it. I think it’s interesting for you, when you’re listening to someone tell the story of their business. It adds a level of color and depth to the story, to know how much revenue they’re bringing in. I don’t think profits are significant. Revenue is. Jason: Especially, again, if you’re just starting out, and you have every eye on every dollar that comes into QuickBook. Jason: And you know what those numbers mean for someone. Or you would know what it would mean to you. Andrew: Yeah. It’s okay. First of all, we have to acknowledge that there are a lot of people who, when they’re starting companies, are struggling with money. Money’s a big issue. We don’t talk about it, but what we do talk about is the size of the raise. Look at all the articles that were written about companies that have raised money. I don’t know, I was gonna pick one out, but it doesn’t make sense. There are a lot of articles about companies that raise money. We’re not spending enough time on the, I say, revenue, not the profit, because it often doesn’t make sense for an entrepreneur to be profitable. It makes more sense for them to reinvest the money into their business. Grow the equity in the business and not the bottom line. I don’t say that profit isn’t important. I just say that profit is harder to understand without looking at the rest of the business. So if I were to say, “How profitable are you?” to an entrepreneur, I don’t think it would give you as much information. You’d have to really look at the rest of the income statement to get a good grasp of the business. Versus saying, “How much revenue do you have?” gives you a sense of the size of the business, from that one number. Jason: What would be interesting would be to invent a new thing like EBITDA. But keep tacking some more letters on there. So, in other words, what are the expenses that are actually necessary for running the thing. Jason: And growing it some way. Jason: And what’s the extra on top of even that, that I’ve decided to reinvest in the form of testing some new marketing campaigns. I’m fully aware that I might crater, but that’s what I’m choosing. Andrew: Right. Or developing a whole new product. I remember when we were doing Bradford & Reed–I know we’re coming close to the end of time. I don’t want to take up too much time. When we were doing Bradford & Reed, I forget the exact amounts on makeup numbers that are roughly the same. One year, I think, maybe doing ten million in profits. If I were to take ten million in profits and put it into the bank, at the end of the year or come tax time, I’d have to pay the government about $5 million. That’s right off the top. If I were to take all $10 million and invest it in a new business–in our case, it was Grab.com. We didn’t invest the whole ten million, but I’m using these numbers to clarify. If I was to invest the whole ten million in Grab.com, and Grab.com’s value became $8 million because of it. I wasn’t going to grow the value, I would spend money and be dopey at it. So instead of getting $10 million or more for my money, I’d get less. I would have now $8 million in value versus $5 million in the bank. The system here in the US encourages us. All tax systems encourage companies to reinvest in their businesses. So that’s one way, if you looked at my bottom line, under one condition I’d have a $10 million profit. I’d look like a genius. On another, I’d break even and I’d look like a fool if all you did was look at profits. You have to look at the rest of the business to put it in perspective. You’d have to look at cash flows and so on to really understand it. I’m not looking to do a finance show with that, but I do want to say, how big is the business? If we’re going to measure it, let’s not measure it by how many people are working there. Let’s measure it using sales. And let’s highlight the fact that sales and revenue are important. Jason: It might be nice to do one finance show like that, in detail for a whole hour. Just so that people can get their minds around some of these issues. So that when they’re looking at their big old . . . QuickBooks shows you all the data. You really don’t know what it’s telling you. So that might be helpful for folks. You’re right, we are coming to the end. I’ve noticed that there’s a theme, so I want to say that really quick and ask you a final question to close. Jason: A theme has developed through here, which is really interesting. Which is that, the key to all this stuff is the emotional stuff. It’s not the specific things like exactly how you do AdWords over here. Those are important, but all those little thingies that you can do–including even how to read an income statement–these are things where you can read a book to get you at least in first gear. Or you can read a couple of blog posts, you can read Anna Vissa’s [SP] blog, and you’re somewhere with that. You can do that. That’s why those aren’t the hard things. It’s the emotional stuff. Also, the emotional stuff and the true stuff is hard to get out of people. They don’t put it on their blogs, mostly. You have to try and extract it from them at Mixergy. So it’s hard to get at that, and that is the truth. There are always new techniques to try, new ones and old ones. But the hardest is this ineffable stuff, like getting through the hard times, or putting on a courageous face even when things are breaking behind you. And the danger is that we think, as new entrepreneurs especially, that we think that startups are like the movie, “The Social Network.” When it’s really more like “Rocky,” where it’s all work. And then even at the end you lose to the heavyweight competitor. But it was worth it anyway, and there’s going to be a sequel for you. And then you’ll do well. Jason: Maybe “Rocky” is a better version than “The Social Network.” Unfortunately, “The Social Network” is what everyone talks about. Andrew: Yes, you’re absolutely right. In a broader sense, we always talk about the clear, simple win. Jason: I think that’s good. Because I think if someone puts that lens on as they read blogs or listen to stuff, and say, “Are they just shining me on? This sounds too good be true? You know what, it probably is. I’m not going to let that discourage me.” Maybe that will actually help someone say, “Okay. Never mind. I can do this. I’m just going to go big in.” And that’s pretty valuable. Here’s the last question. You hear all these stories of success, and luck also always plays a part. We didn’t talk about that much, but of course it’s true. And great networking helps. If you’re ideas really good, maybe the customers will come easy. Again, you hear all these stories on Mixergy. When people condense the timeline, it’s almost inevitable that it sounds easy and straightforward. And one leads to two and that sort of thing. You’re sitting there in front of the computer, with your inbox and a compiler and an A/B tester. You’re overwhelmed by all this stuff. How do you know – obviously, this is too abstract a question to have a specific answer – but how do I take that next step and go running? How do I just go running? Do I just have to say, “Look, there’s nothing but going and running.” That’s it? It’s as simple as that? It’s hard, but that’s all there is? Are there some kind of words of encouragement? Andrew: Yes. Two things. First, I got two answers for that. I always have two answers, apparently, in this interview. When Olivia subscribed us to Runner’s World, I found myself reading Runner’s World. And reading stories about a mother who, while her daughter was in the hospital, would bring her running shoes to the hospital. And she’d go running around the hospital a few times, just to get her heart going to feel good in a tough situation. Then she’d go and see her daughter. Stories of first-time runners who did their first marathons. Just being surrounded by them, I found myself running more often. You find that happening to you all the time. That if you’re surrounded by entrepreneurs, you become more entrepreneurial. If you’re surrounded by jerks, you become more of a jerk without knowing it. Just being in the right environment has so much more influence over you, than sitting down with a checklist and insisting that you get it all down exactly every time. That’s the first thing. The second thing is, there are certain things that we do need a system for. Like you can show me how to install a plug-in into WordPress. I’m talking about the most basic thing. You can show me how to add a line to the footer of Mixergy. Really simple in WordPress. And those things are important, too. I need to find ways to also do that. I don’t think the interviews are the right way to do it. I’ve tried it, and it doesn’t work to go too practical in an interview. So I’m trying courses, where I’m saying, “Let’s bring entrepreneurs who do one thing especially well, and have them teach that in a way that’s practical.” And I think there’s value to that. I think the combination of the two will help people get started and help them see results. In fact, I see even just the interviews alone are getting results. People are emailing me and telling me about their companies. You see more and more in my interviews, people say, “I used to listen to you. I used to listen to these guys in the interviews. Now here I am, and I’ve got to tell you what happened.” So just trust those interviews to work. Jason: Immersion. That’s the reason we all have to listen to the next hundred interviews. Andrew: Yeah. The next thousand, I hope. Jason: Yeah, a thousand. This was a bunch of fun. Thanks for letting me come over here and put you on the spot. Jason: Right, asmartbear, again, is my handle online. On Twitter, it’s asmartbear, and the blog is blog.asmartbear.com. Also, my email address is on the blog. Andrew: All right, asmartbear on Twitter, on the Web, and everywhere. Thank you, Jason. Andrew: Cool. Thank you all. Bye.